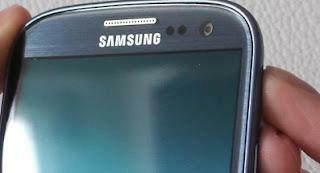 Pebble Blue Color Galaxy S III Being Changed to Metallic Blue? Galaxy S III was just released in Malaysia and set to be released in 145 other countries carried off by the 196 operator in July. But as we know it only provides a release of this phone in white, pebble blue which reportedly still in the stage production and will be available three weeks. But now it seems Samsung changed his mind, which according to Android Authority pebble blue color will be replaced with a new color, called metallic blue. 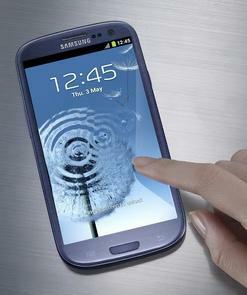 A German video showing proof of the new color, which when illuminated by light Galaxy S III is shown in gray metallic. Although there has been no confirmation from the Samsung and operators, but according to Android Authority pebbel blue color may be sold as a metallic blue color. Supports video, an online store in Sweden, Webhallen, also known to have changed the name of the Galaxy S III to "Samsung GT-i9300 Galaxy S III (3) - Metallic Blue", although the picture is still listed blue pebble.